In the 1970s American poet Jerome Rothenberg proposed a framework for realizing contemporary art, citing the “new wilderness” as a source of renewal and innovation in traditional arts, ritual, and experimental practice. In the early 1980s, the Western Front programmed the first Music for the New Wilderness incorporating these fundamental themes. In search of meaning within a changing cultural landscape in 2014, Music from the New Wilderness invited six artists to examine culture, remoteness, and the vanishing wilderness experience through the magic of live music and immersive audio narratives. As the winner of this year’s prestigious Rio Tinto Alcan Performing Arts Award for Music in 2014, Western Front New Music will present the interdisciplinary production Music from the New Wilderness at the The Cultch from February 11 – 15, 2014. Also, to open the production, sound artist and composer Christian Calon will give a free artist talk at Western Front on February 6, 2014 @ 7:30 pm. Click here for more information. Rehearsals for Music From the New Wilderness take place at Western Front from Feb 3 – 8. Click here to see a few short video excerpts from Feb 6 rehearsals. Listen to Jennifer Schine’s Conversations with Billy Proctor, available online here. For the last thirty years, violist, composer and conductor Jean René (Montréal) has travelled from one genre to another, collaborating with chamber music groups, orchestral groups and numerous studio projects involving improvisation and exploration for dance, theatre, film and instrumental music. René is the founder of Blastographe, and his solo album, Fammi, was released in 2010. 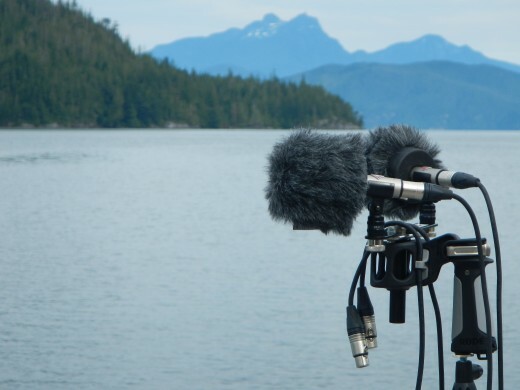 Jennifer Schine (Vancouver) is an award-winning sound artist, researcher and communication specialist whose ethnographic and artistic work explores the aural and oral heritage of British Columbia’s coastal communities. She has spent the last few years working with pioneer Billy Proctor and recording the sounds and stories of the Broughton Archipelago. Her research there resulted in the award-winning documentary film, Listening to a Sense of Place (2012). 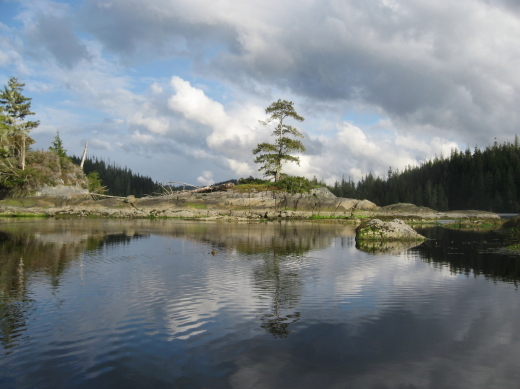 Broughton Archipelago, British Columbia. Photo by Andrew Czink. Image courtesy of Jennifer Schine.